These days it is wise to be prepared for financial uncertainty. The financial crises that happened only a handful of years ago are still bearing an effect on many. There are still a few people out of work. Others went their own way and started businesses. But nothing is certain anymore. What would you do if you had no work right now? Preparing for a worst case scenario can help prevent you getting into dire financial straits to start with. Have a look at your monthly outgoings. Strip each item out until you are left with the utilities, mortgage and food costs. These are the essentials you must have to live. The cost of those is the bare minimum you need to bring in to survive. Can you manage that sum on unemployment benefits alone? Savings accounts are the best place to put away money for an emergency. There are many advantages to using savings accounts, such as the higher interest rates. But if something was to happen suddenly, you need a pot to dip into like this. Failure to save for uncertainty could leave you looking for other sources of cash to cover your shortfalls. Fortunately, there is short term financial help for unemployed people if you do find yourself in trouble. It’s important to find the right help for your circumstances. And it is nearly always better to ask for help than face the consequences from debt collectors. Finding a job or a way to earn money can be really tough. Make sure you have a plan in place to see you through while you search. You might be interested in making some changes to your monthly budget today to help secure your future. Not everybody is eligible for unemployment insurance. Some policies won’t pay out in certain circumstances either. 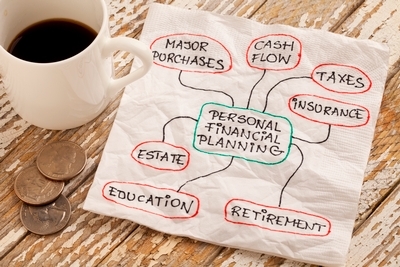 To make sure you are financially afloat in the future, try to cut back what you spend today. The extra cash can be put into a savings pot or even a pension fund. Try not to take on too many loans or credit agreements. If something was to go wrong, you might not be able to rely on your payment protection plan. Living within your means is something that is much harder to do in reality than it sounds. Unexpected bills crop up, and purchases need to be made. Having a family can make your monthly budget even harder to keep in check. Kids grow and need new clothes and toys. The cost of schooling and transportation also tends to increase as they get older. The more detailed your budget, the better. Think of all the things that you are ever likely to need to buy. Your old transaction receipts from the last year can help you here. Have a future price in mind for each item. Put a lifespan on them in line with your territory’s guarantees. Now divide the purchase price by the number of months they’ll last. This sum is what you should be putting away each month. Detailed budgets can help better predict your future spend. But they can’t predict uncertain financial futures. Take care of yours today.